As Ithaka S+DR managing director, Deanna Marcum leads the research and consulting services that assist universities and colleges, libraries, publishers, and cultural institutions as they make the transition to the digital environment. She heads a growing staff of program directors and analysts with wide-ranging expertise. From 2003 to 2011, Ms. Marcum served as associate librarian for Library Services, Library of Congress. She managed 53 divisions and offices whose 1,600 employees are responsible for acquisitions, cataloging, public service, and preservation activities; services to the blind and physically handicapped; and network and bibliographic standards for America’s national library. She is also responsible for integrating the emerging digital resources into the traditional artifactual library, the first step toward building a national digital library for the 21st century. In 1995, Ms. Marcum was appointed president of the Council on Library Resources and president of the Commission on Preservation and Access. 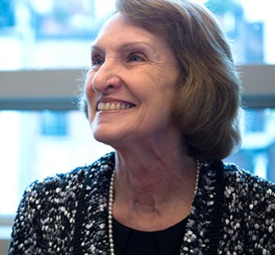 She oversaw the merger of these two organizations into the Council on Library and Information Resources (CLIR) in 1997 and served as president until August 2003. Ms. Marcum served as director of public service and collection management at the Library of Congress from 1993 to 1995. Before that she was the dean of the School of Library and Information Science at The Catholic University of America. From 1980 to 1989, she was first a program officer and then vice president of the Council on Library Resources. Ms. Marcum holds a doctor of philosophy in American studies, a master’s degree in library science, and a bachelor’s degree in English. She was awarded a doctorate in humane letters by North Carolina State University in 2010, and received the Melvil Dewey Medal, the highest award conferred by the American Library Association, in June 2011.